Belisarius is content to leave John to die in Ariminum but the Chamberlain Narses arrives and begs to differ. 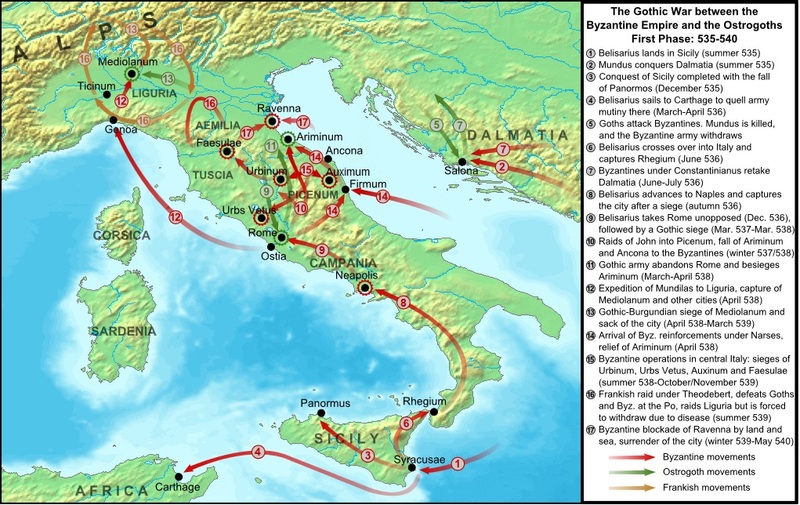 Conflicts over how to complete the conquest of Italy lead to disaster at Milan and a long delay in finally reaching Ravenna. Once there Justinian recalls his General. The Persians are on the move again. We debate who was to blame for what happened next and head to Cteisephon to see what Khosrou has been up to in the last decade.